We carry a wide range of walk-in humidity test chambers from less than 1% RH to 99% RH. Our walk-in humidity chambers are custom engineered to meet your specified humidity at the required temperature. Our standard superior precision industrial humidity controlled chambers are 20% RH to 95% RH, +/- 5% and 10% to 98%, plus or minus 2%. At Scientific Climate, we are experts in humidity chambers & dehumidification systems. 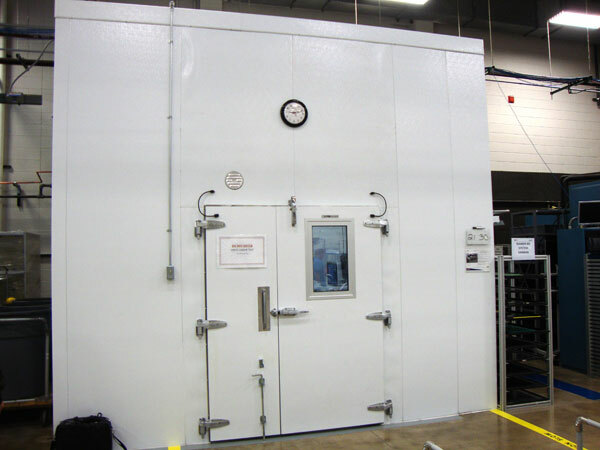 Scientific Climate Systems is also an industry leader in cold cleanrooms, temperature chambers and stability chambers, in addition to our expertise in dehumidification systems.